Accommodates All Users | A fully compliant ADA. Wide doorway, safety bars, and large interior for wheelchair accessibility. Units are of special event quality and never have been used for construction. We recommend 1 restroom for every 100 people attending your event. 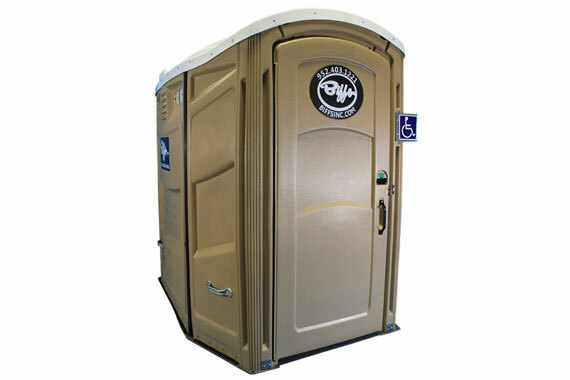 Accommodates All Users | Add this unit with Biffs premium service to meet ADA requirements of any job site, park or event. Wide doorway, safety bars, and extra-large interior for wheelchair accessibility. A fully compliant ADA (Americans with Disabilities Act) restroom.